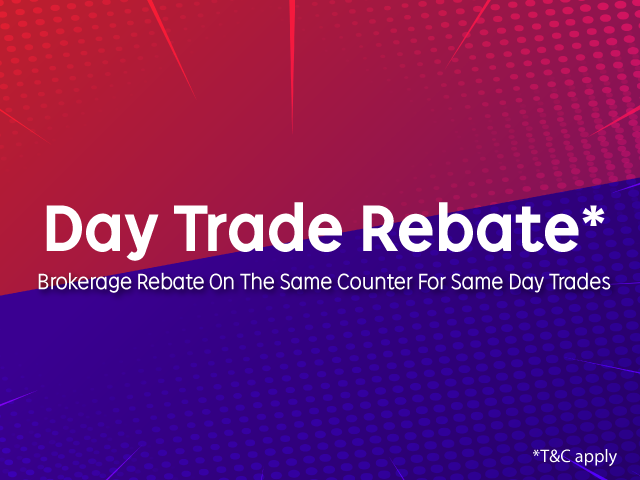 Our Day Trade Rebate Programme is being organized exclusively for all our Contra account holders!! We are encouraging all of you to trade with your Contra account because the more you trade, the less you pay. If you BUY and SELL the same counter on the same day via your Contra Account, we will rebate* back your sell brokerage fees at the end of the trading day. So, what are you waiting for? Trade, trade, trade with Rakuten Trade now!